Although we have many residential projects under development, working with Cluid Housing on their Broome Lodge scheme was highly rewarding. Cluid relied on us for our Project Management expertise and the Cogent team was led by Hervé Besse supported by Tadhg Nihill. The Cogent team are currently working on several Social and Affordable projects in Dublin and around the country. Here is a time lapse video showing the early construction phase of the project. 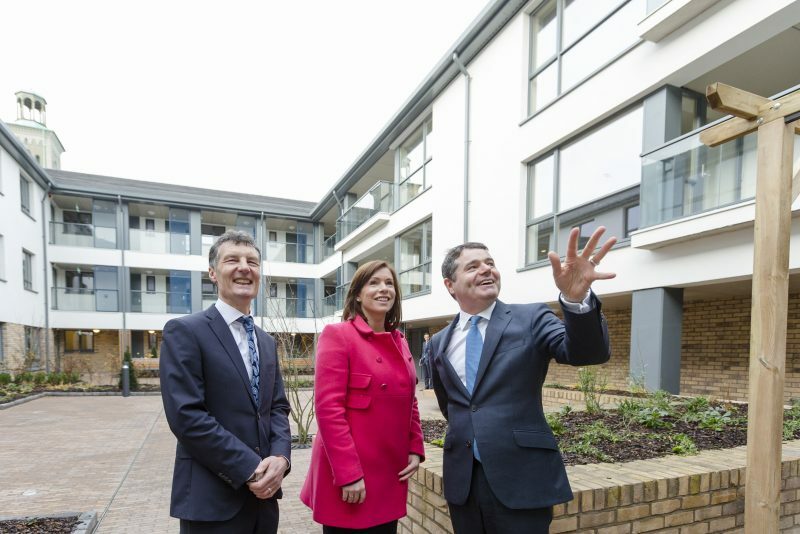 Pictured at the official opening of Broome Lodge are Brian O’Gorman Chief Executive, Cluid Housing, Eibhlin O’Connor Head of Delivery Cluid Housing and Paschal Donohoe TD Minister for Finance.